Our practice philosophy centers on you, the patient. We are here to provide comprehensive care for you and your entire family. Your oral health affects not only the way you feel about yourself, but also the way others see you. When you smile openly and in a care-free manner, you seem friendly, inviting, and sociable. We want to make you feel comfortable with your smile–physically, mentally, and emotionally. Our goal is to provide optimal oral health care, so that you can smile with confidence. As you first walk through our doors, our team will make you feel comfortable, greet you by your first name, offer you drink, and offer you a seat in our consultation room. The doctor will spend some time with you to understand your needs and to conduct a comprehensive examination, which may include dental and medical history, oral cancer screening, dental x-rays, diagnosis, periodontal charting, education on homecare and periodontal disease, as well as a full TMJ exam. We have helped many phobic patients renew their faith in dentistry and achieve the smile of their dreams. Should you have any questions or concerns before your appointment, please do not hesitate to call. With cosmetic dentistry, we can make your smile light up a room when you enter. Through different procedures, we’ll create that beautiful smile you’ve been dreaming of. With whitening, veneers, implants, crowns and bridges, we can change an average smile into a brilliant one that warms a room. 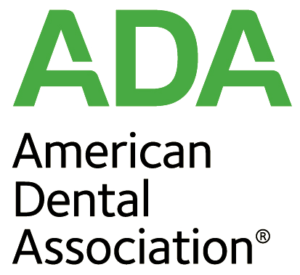 The American Academy of Cosmetic Dentistry states 9 out of 10, or 92.5 %, of Americans agree that an attractive smile is an important social asset. A cosmetic make-over, using veneers, crowns and bridges, can create a new look for you, making your teeth look straighter, longer, whiter, or more vibrant in as little as three weeks. Bonding or veneers can plump out fine wrinkles by building up tooth surfaces, restore normal shape to worn down teeth, and fix widely spaced teeth and gaps in your smile. Many adults want to change their smiles. Some want to correct problems they have had since childhood (discolored, gapped, or crooked teeth). Others want to fix conditions they’ve developed over time (cracked or worn-down teeth) to help create a more youthful smile. If your teeth are dark or worn and make you look older, if gaps or chips make you feel self-conscious, or if crooked or discolored teeth stop you from smiling fully, a Smile Design can help. Although every patient’s smile is unique, some new smiles are completed in a single visit. A Smile Design can redesign the shape of your gums and teeth, and change the overall look of your smile. It’s not just about beautifying your smile, although that is of extreme importance. It’s also about adjusting your bite so that it is healthy and strong. Tooth-colored fillings (bonding) can simply and effectively treat cavities in the front or back of your mouth, or completely transform the look of your smile, usually in just one visit. Porcelain veneers produce great smiles. Teeth which have been stained, chipped, cracked or otherwise damaged can look beautiful with this strong and durable technique. Veneers are very thin tooth colored coverings that are bonded to the front of existing teeth. This process is used to correct color, spaces between teeth, cracked or chipped teeth and slightly crooked or poorly shaped teeth. Patients can choose to match the existing color of their teeth or opt to change the color of their entire smile. This procedure generally takes only two visits. On the first visit, the doctor contours the teeth and takes impressions. On the second visit, the veneers are bonded to the existing teeth. Tooth whitening performed in our office or using take-home products is a safe and effective way to enhance your smile by removing stains from your teeth caused by coffee, tea, colas, tobacco products, and even aging. All of these products contribute to a dimmed, stained smile which suggesting aging. To whiten your teeth, we use the most advanced technology available, called Zoom! Implants offer a permanent solution for replacing missing teeth for those patients who are suitable candidates for this treatment. Dental implants have become a choice treatment option for many patients who are missing one or more teeth. A dental implant is a replacement tooth “root” constructed of medical grade titanium. Dental implants are extremely stable, strong and natural looking. Patients with dental implants are able to eat, smile and laugh without fear or embarrassment that their denture may slip or click, or that their bridge will trap food. Invisible braces that we provide–such as Invisalign–straighten your teeth without the need for uncomfortable and unsightly metal wires and brackets. While braces produce beautiful results, many patients never wear them for fear of looking unattractive or experiencing a lot of cavities at the end of the treatment. Invisalign is an alternative way to produce results—and is completely invisible. By using a series of clear removable aligners, Invisalign straightens your teeth right before your eyes. Change them about every two weeks, your teeth will move—little by little, week by week—until they have moved to the final position your dentist has prescribed. Crowns and bridges and implants with modern natural-looking materials can close very wide gaps and restore function, appearance, and the proportion of your smiling face. If more than half of your tooth is filling, a crown is necessary. A crown covers the entire tooth and holds it together. Crowns are used when large fillings wear out, when a tooth is cracked, or when making cosmetic improvements on teeth. A filling needs the surrounding tooth structure to support it. Without adequate support, the tooth will likely start to break away around the filling. As a rule, the larger the filling, the weaker the tooth and the higher the chance for breakage. That is why a crown is necessary. Bridges replace missing teeth with artificial teeth, look great and literally bridge the gap where one or more teeth may have been. They fill the unsightly spaces left by missing teeth. Dentures can help take the place of missing natural teeth. Dentures allow patients to chew and speak more easily while improving their appearance and often boosting self-confidence. Full dentures are used when all of a patient’s teeth need to be replaced. Partial dentures, or bridges, are used when only a few teeth are missing. In either case, dentures can help you look and feel your best. We perform endodontic therapy to prevent tooth extraction when the inner soft tissue of a tooth becomes damaged, infected, or inflamed. Once we remove the damaged tissue, we carefully fill the canal, seal it and crown it to protect the tooth and restore its functionality. Signs you may need endodontic treatment include pain, prolonged sensitivity to heat or cold, tenderness to touch and chewing, and discoloration of the tooth. Time and gum disease can shrink the underlying bone and gum tissue that hold your teeth in place, collapsing the proportions of your face, exposing teeth roots and adding years to your appearance. From the youngest patients to seniors, we are committed to making each visit pleasant and comfortable. We especially love our little patients. With all of them, we take time to listen and gather information, do a diagnosis and explain how we can help before treatment begins. Do you have headaches, neck aches, clicking jaws, limited opening, or ringing in the ears? It may be TMJ Syndrome. Some 60 million Americans have TMJ. Simply put, TMJ is the syndrome that happens when the muscles in the jaw and the temporomandibular joint are out of alignment or misaligned, causing problems when chewing. In simple terms, the ligaments, muscles, bones and joints do not line up, causing pain. Talk to us if you want to stop jaw and headache pain before it starts. Our treatment includes no pills, no shots, no surgery, and no side effects. We can treat these problems because they are most likely caused by clenching your teeth when you’re sleeping and occasionally throughout the day. When you clench your teeth, you use some of the strongest muscles in your body, which can cause morning and tension headaches, and even damage surrounding joints, teeth, and other muscles. The high-intensity contractions of these powerful muscles become painful and the forces generated cause pain to surrounding tissues, joints, and other muscles. By reducing the intensity of the clenching, you’re effectively minimizing the source of the pain. Our financial policy allows us to provide you with the best treatment available and does not limit your health to just what your plan covers. We will be happy to submit your insurance paperwork for you at the time of treatment. If you have any questions about your insurance, please feel free to call for more information. We offer several payment options for your convenience. We accept cash, as well as all of the major credit cards, including Visa, MasterCard, and Discover. We also offer payment plans with little or no financing for more extensive dental procedures. We must emphasize that as dental care providers, our relationship is with the patient, not with the insurance company. While the filing of insurance claims is a courtesy we extend to our patients, all charges are the responsibility of the patient on the date services are rendered. We accept payment of patient care in cash, by check, as well as forms of credit, such as major credit cards. We also offer payment plans through Care Credit. We currently accept all private care insurance plans (plans that do not require you to select a dentist from a list or require our office to accept a reduced fee for services). This means we work with thousands of companies. We will do everything we can to help you get the dental health care you desire. CareCredit is a flexible patient/client payment program, specifically designed for healthcare expenses, that makes it easier for you to get the treatment, or procedures you want and need. CareCredit is ideal for co-payments, deductibles, treatment and procedures not covered by insurance, and can be used at over 45,000 practices nationwide. For more information, please visit Care Credit.